Once Upon a Time in Mexico, Funeral Kings, Funny Games, and There Be Dragons – Vicky McEvoy gives the lowdown on the five best picks of new release movies on Netflix for this month. Our list is comprised of thrillers, action-adventures, horror and quirky independent films you can watch on-demand with Netflix UK and Ireland. Netflix has proven itself again and again to be the primary choice of provider of on-demand film and television for Ireland, the UK and the US, year on year since its release in those regions. This month sees Magnet Networks named as the fastest speed broadband on which to stream Netflix for the ninth month in a row. In celebration of this achievement, we here at Magnet would like to help you get the most from your Netflix viewing experience, and have recommended the five best newly released films for Netflix UK and Ireland for November. Produced, written and directed by Anglo-French filmmaker Roland Joffé, There Be Dragons is a film about betrayal, faith, forgiveness and reconciliation. Of There Be Dragons, Joffé says that the film is ‘a story about people trying to find meaning about their lives’. Robert (Dougray Scott) is a Spanish journalist with a difficult relationship with his ailing father, Manolo. While trying to reach out to his dying father, Robert uncovers a long-buried link between his father and the Catholic priest, and later saint, Josemaría Escrivá. In seeking to know his father better, Robert seeks to uncover the truths of the past, and goes on a journey to uncover his father’s early life, taking him all the way back to Franco and 1930s Spain. Josemaría Escrivá is the real-life founder of Opus Dei, a Catholic organisation that sees ordinary life as being the path to religious sanctity. While sanctioned by Pope Pius XII in 1950, the support of the Catholic Church hasn’t been enough to quell the criticism of the organisation from many quarters. Opus Dei, the secretive and devout religious organisation was made famous in popular culture in recent years in Dan Brown’s The Da Vinci Code novel, and later the film adaptation of the same name. The film showed self-flagellation, sacrifice, and implied a cult-like organisation. Critics of There Be Dragons have accused Joffé of making a pro-Opus Dei propaganda vehicle, in his partial account of their founder. Joffé says that in making this film, they were attempting to make a film ‘about love, human love and divine love, about hate, about betrayal, about war, about mistakes, about everything it is to be a human being’. 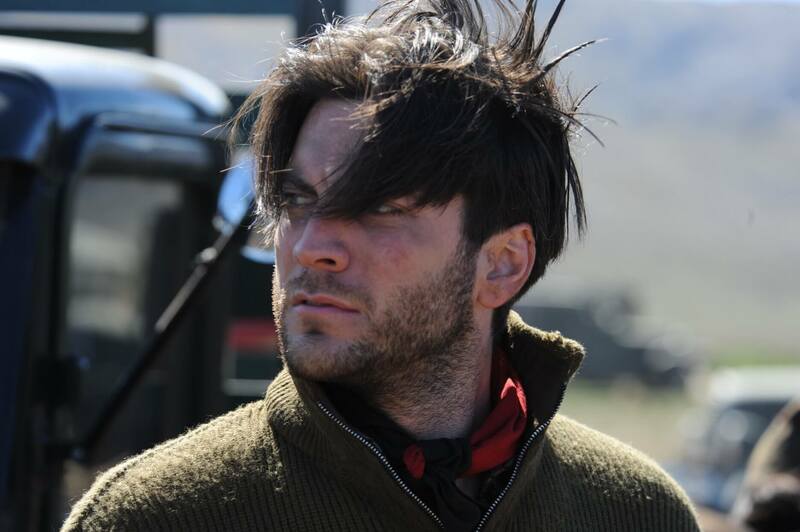 The producers use the tag-line, ‘even saints have a past’ to promote the movie, and Joffé does his best to tell the story of Josemaría Escrivá through the eyes of other characters, such as Manolo (Wes Bentley) and his love interest Ildiko (Olga Kurylenko), a Hungarian revolutionary. I would urge viewers to judge the film on its own merits. While it is ‘based on real events’, this term can be used so loosely in the world of Hollywood, and viewers would do well to remember that this is simply a fictionalised version of some real events, not a biopic of a modern-day saint. Funeral Kings is a truly fresh and original independent film that sees a group of young Catholic school boys, who work as Alter boys in their local church. They are not particularly religious, and volunteer to be Alter boys, purely as a way of getting out of class, particularly during funerals, which traditionally are held during morning mass. This is a coming of age film, that sees this group of thirteen and fourteen year old teenagers, Andy, Charlie, David and Felix bond, as they skip school after each funeral service, and engage in various pranks and seemingly fun, yet potentially dangerous activities. The main tension in the film occurs when an older ex-Alter boy insists on stashing a padlocked trunk in Andy’s bedroom with strict instructions not to open it under any circumstances. Curiosity gets the better of the boys, and they open the trunk only to find a series of items that place them in situations bigger than they can handle alone. This is well worth a viewing. 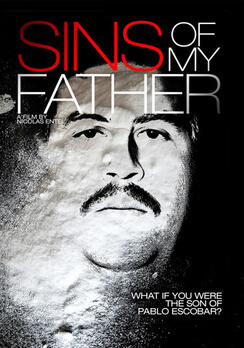 A poignant and thought-provoking documentary film, Sins of My Father is an Argentine production that focuses on the life of notorious Columbian drug lord, cocaine trafficker, and later politician, Pablo Escobar, as told through the eyes of his son Sebastian and widow, Maria Isabel Santos. Juan Pablo and Maria Victoria, Escabar’s son and wife fled Columbia and assumed new identities in Argentina after Escobar was gunned down by police in 1993. This film is Spanish language but contains English subtitles. A price of $4 million US Dollars was put on Juan Pablo’s head by his father’s enemies. This documentary film is an attempt by Sebastian and Maria Isabel to end the cycle of violence, and sees both reach out to the children of Escobar’s most prominent murder victims, presidential candidate Luis Carlos Galán, Justice Minister, Rodrigo Lara Bonilla and former Columbian president, César Gaviria. Sebastian speaks very frankly about the devastation his father’s violent criminal life inflicted on his family, and the fact that he, his sister and mother were in mortal danger of being murdered for more than a decade. Escobar was a complicated character – on the one hand he built hospitals, schools and sports grounds for the local community, and on the other, he was a cold-blooded killer who ordered the torture and abduction of many of his perceived enemies. Despite the extravagant life Escobar lived (he had a zoo built on the grounds of his home in Medellín, had a private jet previously used for drug smuggling perched over the gates of his compound, and was in the process of building a Greek-style citadel in his garden), he tried very hard to create a ‘Robin Hood’ type image with the Columbian public, and even went as far as being elected an official representative for the Columbian Liberal Party. However, by his own admission, much of his political influence likely came in the form of bribes. He once said of the cocaine business, that its essence was ‘simple—you bribe someone here, you bribe someone there, and you pay a friendly banker to help you bring the money back’. According to Escobar’s brother Robert, at the height of the cartel’s power, the group was smuggling fifteen tonnes of cocaine a day, and spending USD$2500 per month, just on rubber bands to wrap the stacks of cash they had accumulated. The legacy of violence and cruelty left in Escobar’s wake, has become as infamous as the opulent and extravagant lifestyle he led, as the head of Columbia’s most successful drug cartel. This film doesn’t seek to glorify Escobar or his actions, but instead looks at the recent violence that has occurred in Columbia over the past two decades, and looks at how the Columbian people can learn from the past, and move forward to break the cycle of drugs-related violence. This offering from critically acclaimed Austro-German writer and director Michael Haneke is the original German language version of the taut psychological thriller, Funny Games. Funny Games tells the story of a wealthy German family, Georg, Anna, son Georgie and dog Rolfi, who arrive at a secluded lakeside holiday home in the Austrian countryside, only to be terrorised by a pair of sadistic young men. 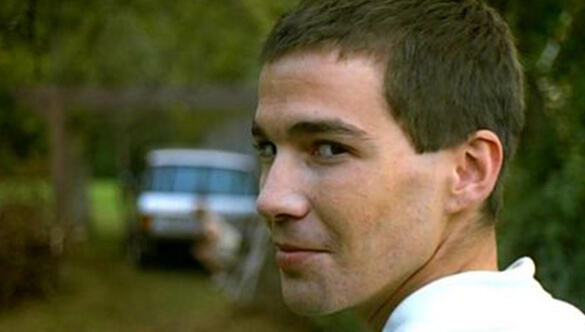 Following a similar home-invasion plotline that many films have followed since its initial release (Panic Room, Them, and The Strangers), Funny Games takes this genre to a new level of violence and depravity. One of the standout elements that stays with viewers of this film long after the viewing is done, is that there seems to be no rhyme or reason as to why this family is being targeted in this manner. Perhaps this echoes the danger inherent in real-life, where people can easily become victims of violence through no fault of their own. The young male intruders, Peter and Paul appear to be enacting these cruel and violent games for their own amusement, and simply put, because they can. For many viewers, a film like Funny Games is far scarier than most horror films they will encounter, due to the realism infused within the film. Haneke initially wanted to set this film in the United States, but logistics prevented him from doing it for the 1997 version. Haneke remade Funny Games for an American audience in 2007, starring Naomi Watts, Tim Roth and Boardwalk Empire’s Michael Pitt, replicating the original shot-by-shot. The third and final installment of Robert Rodriguez’s Mexico Trilogy, the visually stunning Once Upon a Time in Mexico features an all-star cast, including Selma Hayek, Johnny Depp, Antonio Banderas, Mickey Rourke, Danny Trejo, Eva Mendes and (my personal favourite), Willem Dafoe. Dafoe plays a Mexican drug lord who hires a guerrilla leader to assassinate the Mexican president, thus overthrowing the government. Banderas plays El Mariachi, a man hired by CIA agent Johnny Depp to intercept the assassination, and take out General Marquez. El Mariachi has prior history with the General, as he and his wife Carolina (Salma Hayek) had confronted Marquez in a shootout years earlier, resulting in Marquez ambushing, and ultimately killing Carolina and her daughter in retaliation. This is a fast moving action adventure with thriller aspects thrown in for good measure. There are a lot of characters with complicated histories, which can prove to be confusing unless you are giving the film your full attention, but is well worth catching up with, even if you haven’t seen the first two installments of the trilogy. Film technology buffs out there will probably already know that this film was one of the first high budget films shot digitally in HD, made even earlier than George Lucas’ Star Wars II: Attack of the Clones (2002) (both shot in 2002 but Once Upon a Time in Mexico was in postproduction until early 2003). Be warned, this film contains scenes of explicit violence, and is not suitable for younger audiences. Have you seen any of the above films? Did they live up to your expectations? Let us know by commenting below. Make sure to check out our December recommendations for Netflix with Magnet Networks.